The wake of recent troubles at Battery Street are over and this week’s news promises to put a smile on the face of football. On Tuesday, March 18, the Sierra Leone Football Association (SLFA) signed an agreement to replace the natural turf at the Siaka Stevens National Stadium with an artificial one. “It’d make for a better quality of games,” football association documents state. 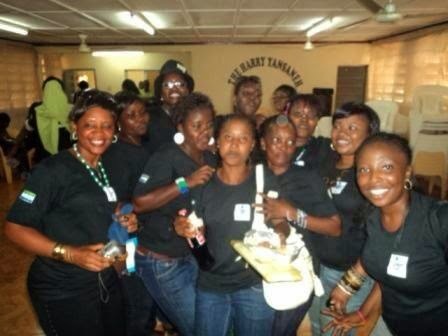 “For men and women, Premier League and First Division clubs, and the government of Sierra Leone." According to the FA, the estimated $600,000 project aims to increase the quality of football played, meet the standard quality for turf in games, and open up the stadium to more activities and teams, including young people and schools. 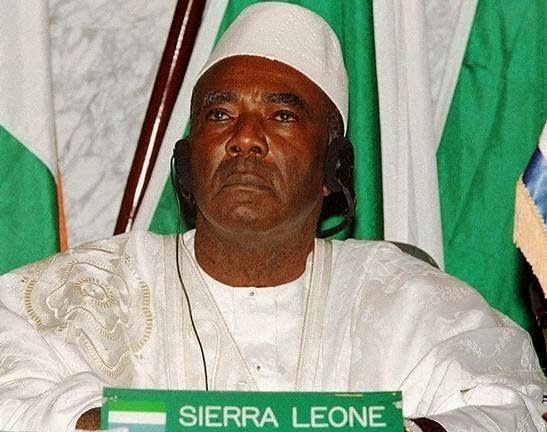 On Thursday, March 13, 2014, Alhaji Ahmad Tejan-Kabbah, wartime President of Sierra Leone, died after having suffered health complications for several months. He was 82. To honor the late leader, President Ernest Bai Koroma declared seven days of national mourning. Flags flew at half-mast from Friday, March 14 to Thursday, March 20, across Sierra Leone. 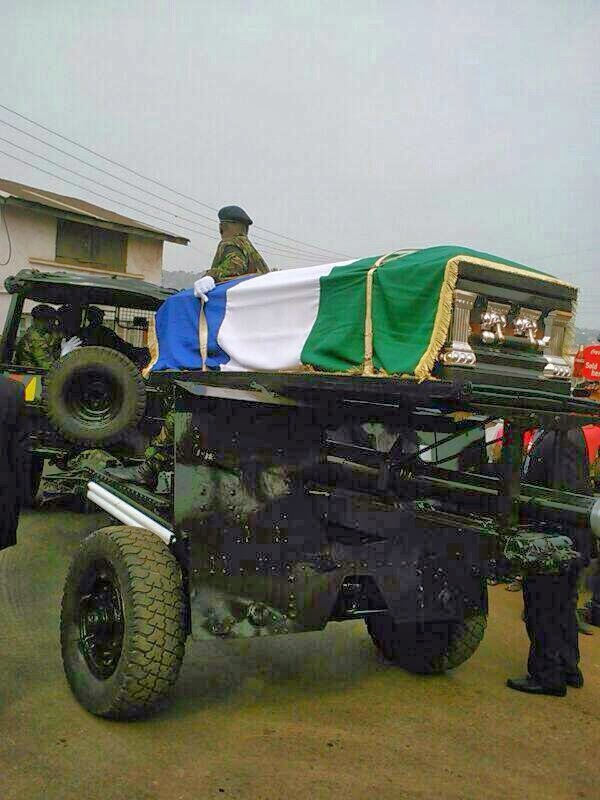 On Friday, March 21, Kabbah's casket was transported by soldiers of the Republic of Sierra Leone Military Forces to Tower Hill for an ecumenical service, public viewing and tributes at the House of Parliament, where the former president and commander in chief of the Republic of Sierra Leone Armed Forces will lie in state for two days. 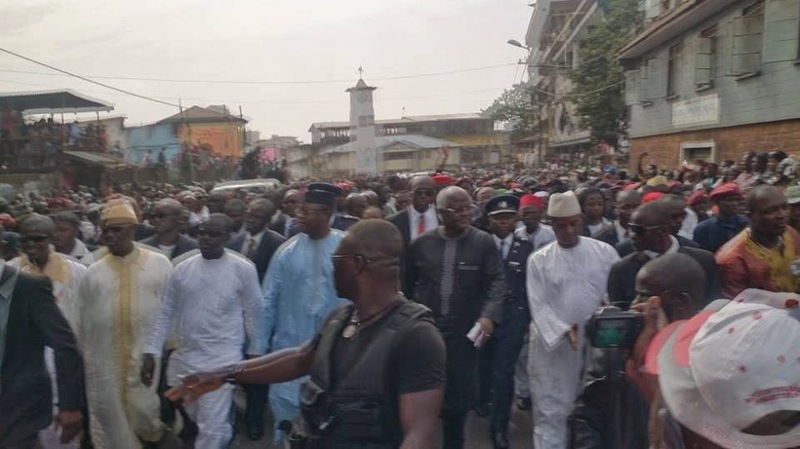 A state funeral service will be conducted at a central mosque in Freetown on Sunday, March 23, the day when the first shots were fired in 1991 triggering a decade long war. Alhaji Kabbah will be interred at Kissy Road. 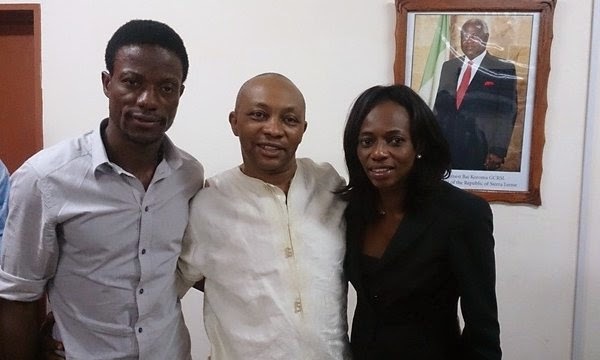 Political action finally broke the impasse between Sierra Leone Football Association President Isha Johansen and the former national football team captain, Mohamed Kallon, when the two high-profile adversaries sat down in a meeting Friday called by Ministry of Political and Public Affairs at the old government building called Youyi (means friendship in Chinese). After the talks, Johansen and Kallon agreed to work together in the interest of football and stay off legal action. 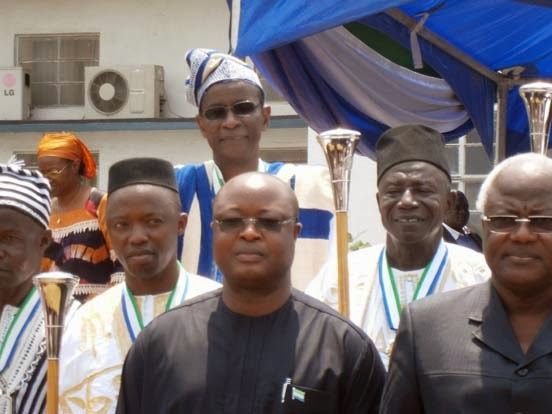 Sierra Leoneans around the world are mourning their former president, Ahmad Tejan-Kabbah, who died on Thursday, March 13, 2014.Kabbah marked his 82nd birthday on February 16. Family sources say he passed away peacefully after a long illness at 4p.m in Freetown with family members at his side. 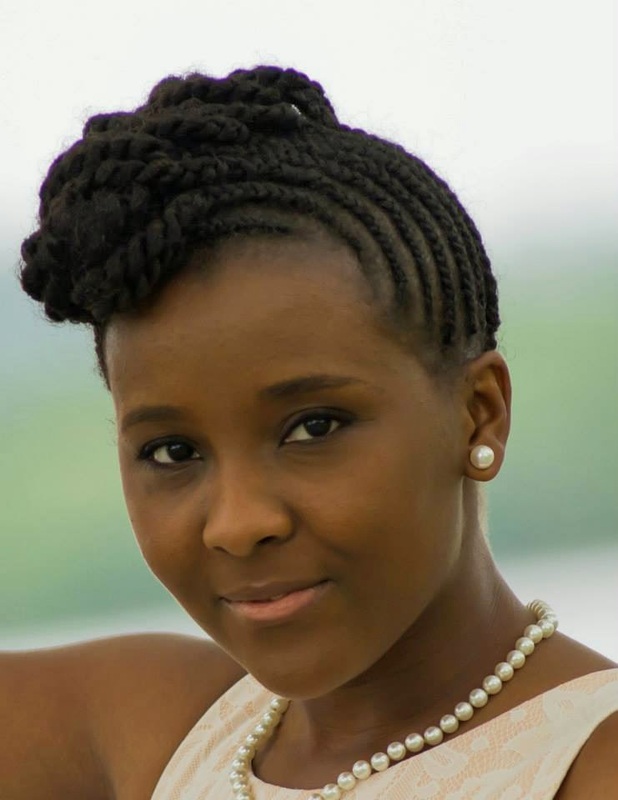 To honor the late leader, President Ernest Koroma has declared a week of mourning. Flags will fly at half-mast from Friday, March 14 to Thursday, March 20, 2014, the State House press release said. 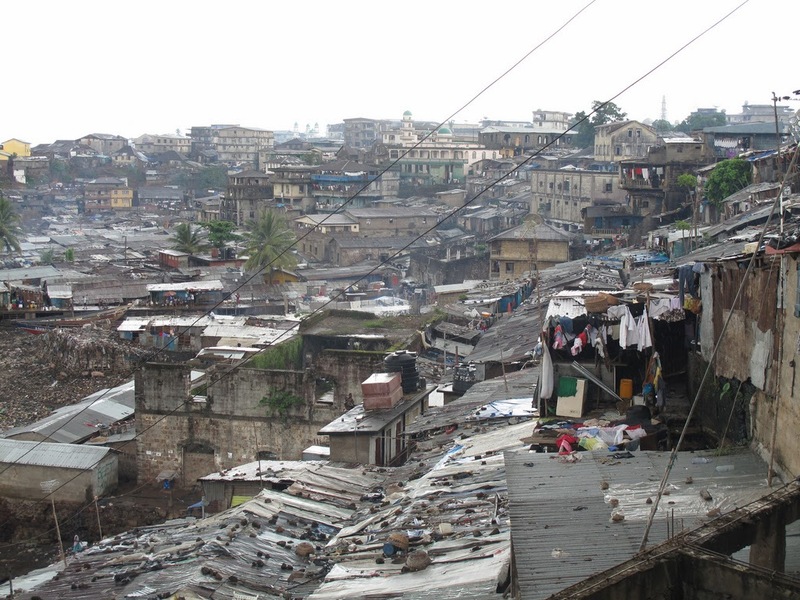 An ethnic Mandingo, Kabbah was born in Mobai, Kailahun District in eastern Sierra Leone, though he was largely raised in the capital Freetown. Kabbah was an economist and attorney.He retired from the United Nations in the early 1990s after spending many years working for the UN Development Program. He returned to Sierra Leone in 1992.